Often, drugs don’t work for the simplest of reasons: People forget to take them. 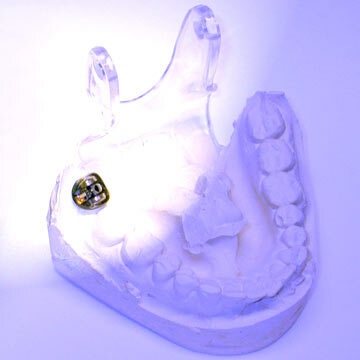 To bypass our faulty memories, European scientists have devised a prototype for a dental prosthesis that regularly releases medication, which is either absorbed through the cheeks or swallowed. Two joined artificial molars contain a drug-filled reservoir (into which saliva flows to dissolve the drug), two sensors (which monitor the volume and concentration of the drug flow), a valve (which opens and closes when signaled by the sensors) and electronic components (which control all the parts) powered by two batteries. A remote control can be used to set dosage and indicate when the patient is due for a refill (which means another doctor’s visit). Clinical testing will begin later this year in Berlin, Madrid and Palermo, Italy using the addiction-withdrawal drug naltrexone. As researchers point out, two groups that might benefit most from this device—addicts and Alzheimer’s patients—often have missing molars because of problems spurred by inadequate dental care or aging. For the rest of us, let’s hope a model hits the market that doesn’t require pulling a few good teeth. When Paul Ehrlich developed the first clinically tested syphilis treatment in 1910, he sparked hope and controversy.